Well maintained two story Colonial, 3 bedrooms on 2nd floor, Living Room, Kitchen and Mud Room on first floor. House is at end of street for added privacy. SHORT SALE - sold AS IS and subject to third party bank approval. Agent: SHORT SALE - price not yet accepted by bank, please call with any questions. MOVE-IN READY - Freshly painted in pastel shades this 2 bedroom / 2 1/2 bath townhome is located in the heart of Millsboro with easy access in and out of the community to Rt. 113. Only 25 minutes to the beach. Anticipate short sales approval soon. An affordable ranch situated on a half acre lot. Having the back yard backing up to woods and located at the end of a cul-de sac makes this a terrific location in the quiet desirable neighborhood of Mount Vernon Estates. This home was the original model home for this development. Beautiful hardwood floor in the dining room, which opens to the kitchen and living room. Split bedroom floor plan with a master bath and two others bedrooms and hall bath. Ample closets for storage make this home a great deal! Enjoy the perks of NO HOA!! Eligible for USDA financing and low real estate taxes are a plus. Tour this home today. You don't want to miss this opportunity! Thios diamond in the rough is great for investors! This property is eligible under the Freddie Mac First Look initiative through 4/30/16." On 5/1, FMFL has expired and agent would be able to submit investor offers for review. Looking for that next project with great space well this 4 Bedroom & 2.5 Bath home located on a private 3/4 acre with 2 Car Garage is a great home project waiting for you!! This home has hardwood floors through-out with tiled flooring in kitchen & baths. There are two fireplaces the family & living room, screened in porch w/paver patio and much more. It needs work but could be a great home and or investment. Come take a look!!! Feast your eyes on this beautifully well maintained 3 bedroom, 2 bath rancher. There is plenty of space for entertaining for all seasons within. The center of the home features a large, bright fully remodeled kitchen that boasts new extra tall cabinets, granite countertops, custom backsplash, double stainless steel sink, stainless steel appliance package including microwave, refrigerator, dishwasher and oven. A large family room was added with a private office in rear and extra closet space to make this home even bigger. It is sure to fit your needs. A laundry room off kitchen is housed neatly between the kitchen and garage for easy cleanup. The backyard has a deck to enjoy on those summer nights while enjoying a backyard BBQ on the paver patio. Nestled within a community but giving the privacy of a backyard oasis all its own. USDA eligible. Make your appointment today! This property is eligible under the Freddie Mac First Look initiative through 2/14/15." On 2/15, FMFL has expired and agent would be able to submit investor offers for review.4BR, 2 Full Bath 2 Story home in the desirable community of Salem Woods in Newark. This home is perfect for the 1st time buyer (203k rehab) & also offers the space for a growing family. The fenced in back yard is huge and great for your buyers next event. There's a fig tree in the front on this corner lot property. A new HVAC, roof, a few windows, and back yard steps. If you're looking for a 3 bedroom 2 bathroom home that just needs a little TLC at a reasonable price you have found it. Located in the desirable Caesar Rodney School district and minutes from shopping and entertainment. Almost New - Barely Lived In!!! This maintenance free 2 bedroom / 2 bath sun-filled end unit has a stunning kitchen with granite countertops and stainless steel appliances and is located in the amenity filled community of Heritage Shores (55+ community). Additional features like: ceramic tile baths, gas fireplace in LR, bonus room over garage and sunroom are just a few of the extras. There's also a patio right outside the back door for additional outdoor living space. One of the few units facing the golf course with wide open spaces for relaxing. This home is move in ready and priced to sell. Motivated seller! This property is eligible under the Freddie Mac First Look initiative through 4/10/16." On 4/11, FMFL has expired and agent would be able to submit investor offers for review. ****No Transfer tax 2 Story Colonial with 4 Bedrooms 1 1/2 Baths. Contractor special or 1st buyer 203k! This home has so much potential but needs works as the price reflects such. Tilt Out Windows, Gas heater, and Hardwood Floors. Living Room has Updated Bay Window and Dining Room has Updated Garden Window. Awesome location in north Wilmington. Immediate Possession! Make an offer today on this 2 bedroom, 2 1/2 bath end unit with large backyard and rear deck. The home has great potential but does need work. Newer kitchen light oak cabinets and no Transfer Tax!!! Extremely convenient to I-95, Christiana Mall, Rt.1 and close to Christiana Hospital. Loads of shopping nearby. This property is eligible under the Freddie Mac First Look initiative through 3/21/15." On 3/22, FMFL has expired and agent would be able to submit investor offers for review. Adorably Redone - & i'ts in YOUR price range! This property is eligible under the Freddie Mac First Look initiative through 4/2/16." On 4/3, FMFL has expired and agent would be able to submit investor offers for review. ****No Transfer tax*** on this fabulous home as it lends itself to those looking for space. Situated on 1.73 acres w/quick access to Rte 13 or Rte 1 in the desirable Appoquinimink School District. With the professionally finished walk-out basement to the huge finished room above the garage, room to roam is not a problem. Relax on the wrap around porch, have a barbeque on the multi-tiered deck or grab some sun pool-side, this house is sure to please. Features include a cozy wood burning fireplace, a nice size breakfast room in the kitchen, luxury owner retreat w/a tray ceiling, walk in closet & master bath with relaxing whirlpool tub. French doors leading to the nursery just off the owner suite. A convenient second floor laundry, two additional bedrooms & a hall bath round out the second floor. 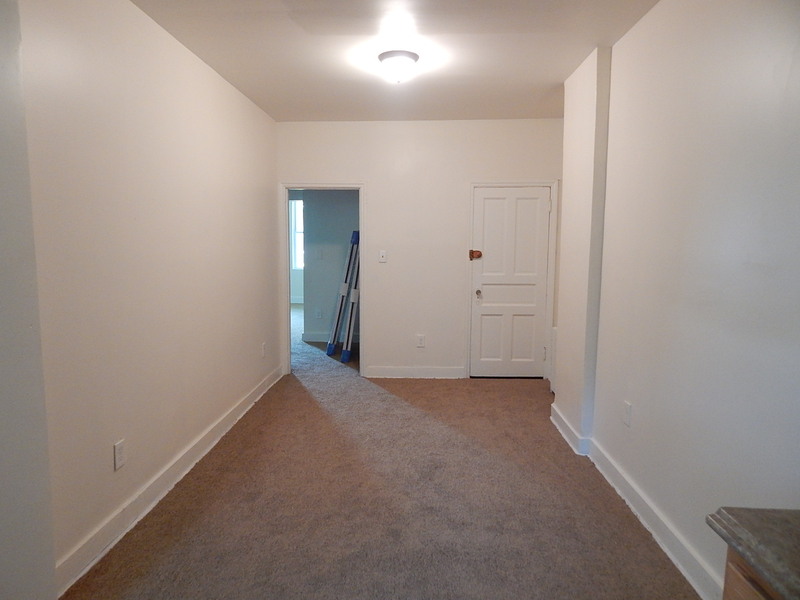 The spacious fmly room, full bath, bedroom & office all on the walk out lower level add tons of square footage. Freshly painted with new carpet. This house would be great for someone looking for an in-law suite or similar retreat. Open House! 12-2 p.m. Sunday 3/13/16! 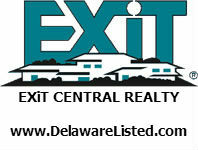 With Exit Central Realty agent Nancy Hagman! Nancy is licensed in both Delaware & Maryland! Come check out this beautiful home. Who knew that a home on the water with amazing views could be so affordable!! Walk right out your back door onto the beach in this quaint beach community of Kitts Hummock. Sit in your beach chair or even sitting in your living on your couch, you'll be able to see the amazing Delaware Bay! This could be a dream beach home for the right owner. It's filled with charm and potential. There is an eat in kitchen, with a small office nook. Off the kitchen is a den or would make a great art studio since it's filled with natural light. Upstairs, is a large master bedroom and a second bedroom with a hall half bath. This home is as is. No repairs will be done. Inspections for information purposes only. An affordable ranch situated on a 1/2 acre lot. Having the back yard backing up to woods and located at the end of a cul-de sac makes this a terrific location in the quiet desirable neighborhood of Mt. Vernon Estates. This home was the original model home for this development. Beautiful hardwood floor in the dining room, which opens to the kitchen and living room. Split bedroom floor plan with a master bath and two others bedrooms and hall bath. Ample closets for storage make this home a great deal! Enjoy the perks of NO HOA!! Tour this home today ..... don't want to miss this opportunity! Diamond in the rough ... great for investors! Eligible for Freddie Mac First Look Initiative until - 2/1/2016 - allowing first time home buyers/owner occupants the opportunity to purchase without competition from investors. SOLD AS IS - repairs needed. Watch the seasons change from your balcony. This very well maintained 3rd floor unit features 2 nice size bedrooms & 2 full baths in move in condition. New carpet/HVAC system installed in 2013 & the pergo flooring in living/dining room gives this home a complete look. Enjoy the swimming pool in the summer and the clubhouse, gym all year round...Don't wait schedule your buyers appointment today. Eligible for Freddie Mac First Look Initiative until 10/22/2015 - allowing first time homebuyers the opportunity to purchase home without competition from investors. House is sold AS IS, no further repairs. New septic will be required. Great opportunity to own a home with an apartment. 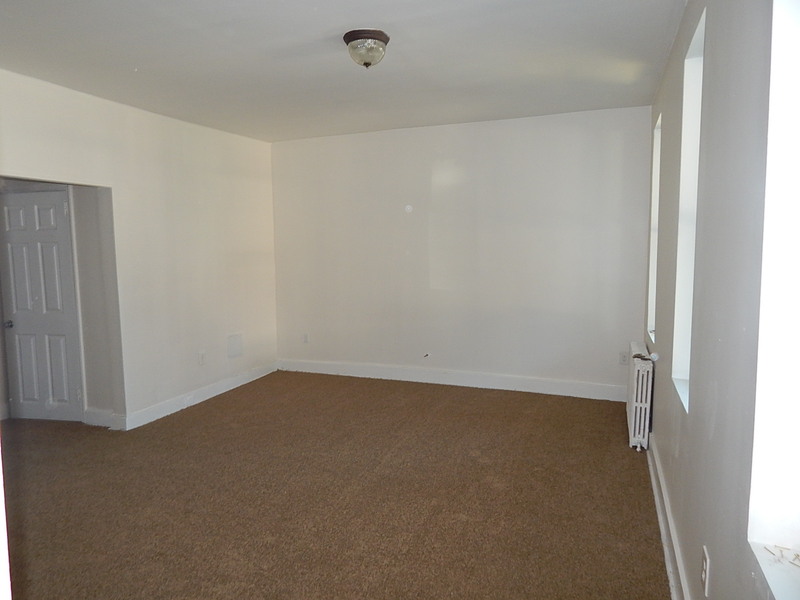 Included with this 3 bedroom home is a 2 bedroom apartment over the detached garage. Great for in-laws or to be used a rental! This property is eligible under the Freddie Mac First Look initiative through 12/21/15." On 12/22, FMFL has expired and agent would be able to submit investor offers for review. Have you been looking for a home large enough for your family and will accommodate entertaining guests? Well...This updated 2 story home located in the desirable Lakeshore Village could be the home you have been looking for. This 4 bedroom 2.5 bathroom home includes a large finished basement which is great for entertaining guests. The large fenced backyard includes a stone patio area which is perfect for your BBQ grill along with a huge deck that leads to the above ground pool. The recent interior updates completed it this home within the last 2 and a half years include new carpet in the entire house and basement, new ceramic tile in the kitchen, and a upgraded half-bath. The recent exterior updates includes a above ground pool and decking along with newly concrete and stone walkways. The front lawn is also equipped with a sprinkler system and professional landscaping. For efficiency this home also boasts a humidifier and a water softener system and it also has a alarm system for safety. The Seller says that the stainless steel appliances, outside shed, cabinets in the garage, and curtains and blinds are all negotiable items with any full price offer. Schedule your Appointment Today. Eligible for Freddie Mac First Look Initiative until 12/19/2015 - Allowing first time homebuyer/owner occupants the opportunity to purchase without competition from investors. House is newly painted, new carpet, new stove, micro and D/W all included. Full unfinished basement, LV room, front living room as well a dining and kitchen are on first floors, all 4 bedrooms and laundry are on upper floor. Washer and Dryer included - not new - sold AS IS. Beautiful townhome for immediate move in. Fresh paint throughout, new carpet upstairs and new wood laminate downstairs. New vinyl siding and thermopane windows. New thermopane sliding door. Newer a/c unit. Nice fenced back lawn. Appliances in as is condition. Ready to go. FHA, VA, Conventional financing ok. Settlement help available. Eligible for Freddie Mac First Look Initiative - Allows first time homebuyers/owner occupants the opportunity to purchase without competition from investors. Eligible until 10/28/2015. Fresh paint throughout, new walkway. This beautiful expansive home is built for entertaining inside and out. If you are looking for a cleared spacious building lot in a quiet rural area you may have found the land you've been looking for. There is a small pond located behind the property line of this property. Also, the wooded land that's located on the other side of the road will never be developed. This property is deeded for a stick built home. Property is eligible for Freddie Mac First Look Initiative until 11/30/2015 - allowing first time homebuyer, owner occupants the opportunity to purchase without competition from investors. New water heater, storm door, carpet, fresh paint, new appliances stove, microhood - beautiful cathedral ceilings allow plenty of sunshine to enter the room. Tray ceiling in master suite. Eligible for Freddie Mac First Look Initiative until 11/3/2015 - Previous home has been removed and property regarded. I outbuilding remains. This property is eligible under the Freddie Mac First Look initiative through 09/09/15." On 09/10, FMFL has expired and agent would be able to submit investor offers for review. Good Condition City Home With 3 Bedrooms, 1 Bath. Home has great potential with some sweat equity would be a great first time home buyer 203K or a good investment home for an investor. 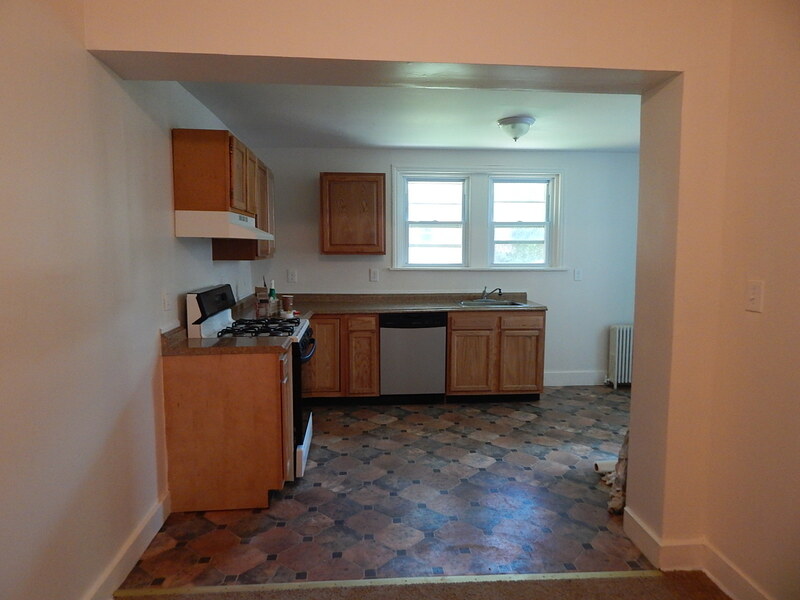 Full Kitchen, Enclosed Rear Porch and new HVAC system w/full. Make your appointment today! Situated within minutes of Middletown and Dover, in the sought after community of Providence Hills, this 2012, upscale, custom-built home will be sure to please the most selective buyer. You will enter into the exquisite, two-story foyer, showcasing a stunning, maple-railing staircase and hardwood floors. This flows into a spacious, but intimate, open floor plan that features a gourmet kitchen, welcoming family room, and brightly-lit sunroom, leading directly to a large deck and fenced backyard. The family room includes a cozy fireplace with custom mantle and marble surround. The kitchen boasts top-of- the-line, stainless steel, Samsung appliances, 42-inch contemporary cherry cabinets, hand-picked granite countertops, a large pantry, multi-functional island, and a variety of custom lighting. The first floor is complete with a formal living and dining room, as well as a powder room. On the second floor, you can relax in the charming master suite featuring a huge, walk-in closet and roomy bathroom, which includes a corner-soaking tub, as well as a custom-designed, glass enclosed, tiled shower with a built-in seat. There is a second full bathroom and three additional bedrooms, on this level, one of which leads to a one-of-a-kind, second story, screened in porch, that overlooks the backyard, with breath-taking views of the sunset! Other key features include a convenient second floor laundry closet, dual zone heating/cooling for comfort and utility savings, more storage space than you can ever use, and an immense, ready-to-be-finished basement, which now contains a workshop, perfect for all hobbies. Hard to imagine all this home for an annual property tax bill under $2000! The sellers are also furnishing a home warranty to make even considering new construction an afterthought. Why wait?schedule your appointment today! Feast your eyes on this beautifully maintained rancher with solid wood doors and trim throughout. Large kitchen features a full pantry, oak cabinets, corian counters, trash compactor and recessed lighting just to highlight some key items. A stainless steel stove was added in 2012. The Master Suite features a full walk-in closet as well as a full bath with a step up deep soaking whirlpool tub. This home boasts tons of upgrades completed during previous ownership in 2003/2004 which include, new siding, new roof featuring 30 year architectural shingles, 4th bedroom, 1.5 bay garage with extra storage and upgraded plumbing/electrical throughout. Continuing the trend, the current owners added a brand new Heat Pump system in 2012 as well as a shower stall to the hall bath/laundry in 2014. Beautiful established landscaping will reveal itself in spring/summer. The list of wonderful things about this house goes on and on, make your appointment today to see if for yourself. $500 buyer agent bonus! 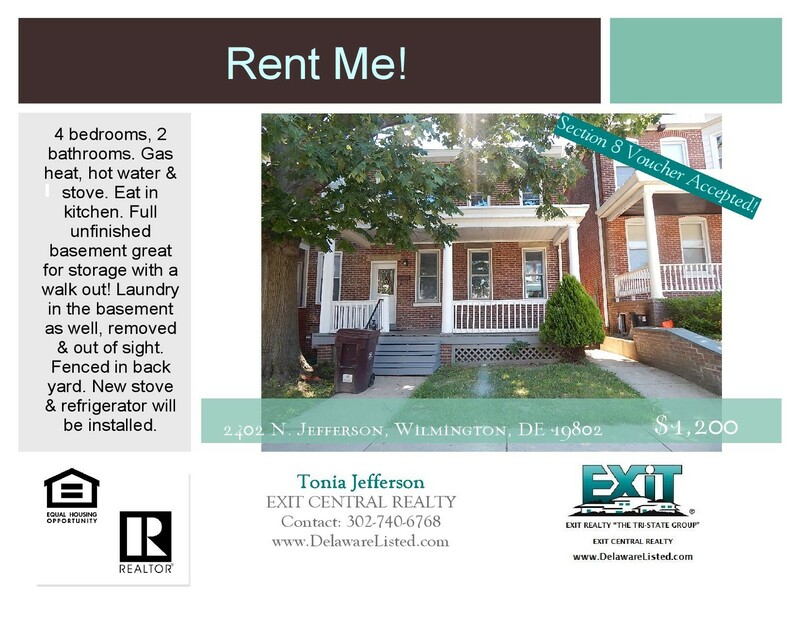 Felton Delaware Home For Sale! Feast your eyes on this beautifully maintained rancher with solid wood doors and trim throughout. Large kitchen features a full pantry, oak cabinets, corian counters, trash compactor and recessed lighting just to highlight some key items. A stainless steel stove was added in 2012. The Master Suite features a full walk-in closet as well as a full bath with a step up deep soaking whirlpool tub. This home boasts tons of upgrades completed during previous ownership in 2003/2004 which include, new siding, new roof featuring 30 year architectural shingles, 4th bedroom, 1.5 bay garage with extra storage and upgraded plumbing/electrical throughout. Continuing the trend, the current owners added a brand new Heat Pump system in 2012 as well as a shower stall to the hall bath/laundry in 2014. Beautiful established landscaping will reveal itself in spring/summer. The list of wonderful things about this house goes on and on, make your appointment today to see if for yourself. This property is eligible under the Freddie Mac First Look initiative through 08/19/15." On 08/20, FMFL has expired and agent would be able to submit investor offers for review. Well designed 3 bedroom Craftsman style bungalow built on an oversized lot -Features newly finished hardwood floors throughout with updated carpet in the master bedroom. Front of home includes commanding brick entrance & complimentary plant beds. Upstairs can be used as a bedroom or den & displays impressive Mission style cedar walls & ceiling. Cozy enclosed front porch- perfect for a reading room- shows off original Craftsman Mission style doors. 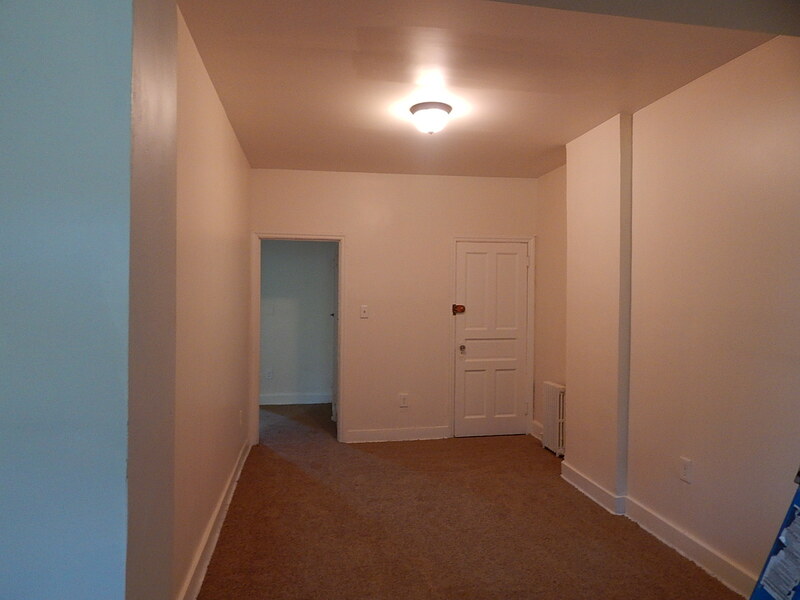 Convenient built in shelves/cabinets are located in the master bedroom & a wood burning fireplace in the living room. Large, spacious backyard provides an intimate oasis with privacy fencing with extended lattice top & includes 2 patios, plant beds areas, vegetable garden & mature trees. Fresh Interior/exterior walls painted with high quality paint and new HVAC system. Detached 2 car garage has loft space for storage & large driveway able to park 5. Ceiling fans & ADT security alarm throughout. Beautiful townhome for immediate move in. Fresh paint throughout, new carpet upstairs and new wood laminate downstairs. New vinyl siding and thermopane windows. Newer a/c unit. Nice fenced back lawn. Appliances in as is condition. Ready to go. Eligible for Freddie Mac First Look Initiative until - 9/9/2015 - allowing first time homebuyers/owner occupants the opportunity to purchase without competition from investors. Beautiful 3 bedroom with plenty of space for everyone. Make your appointment today. This property is eligible under the Freddie Mac First Look initiative through 06/05/15." On 06/26, FMFL has expired and agent would be able to submit investor offers for review. ATTENTION INVESTORS!! This single family home is near the University of Delaware located in the neighborhood of Scottfield. The home features 3 bedrooms & 2 baths, and additional living space waiting to be refinished on the lower level of this split level home. Property is being sold "AS-IS" and is in need of some repairs. Looking for a home in Elmhurst?? Look no farther! Home For Sale! Bordering Camden & Wyoming! 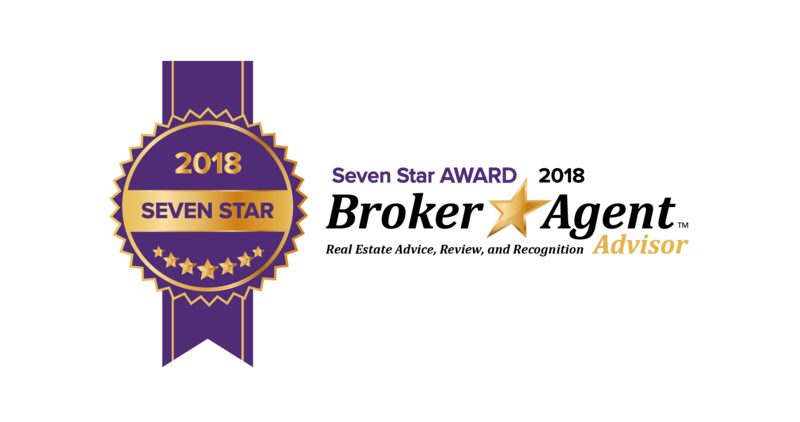 Eligible for Freddie Mac First Look Initiative until July 17, 2015 - allowing first time homebuyers, owner occupants first opportunity to purchase without competition from investors. House features beautifully refinished wood floors, new vinyl in kitchen, new carpet, fresh paint throughout, newly installed heat pump with central a/c. Prime location. Make your appointment today! Eligible for Freddie Mac First Look Initiative until - August 19, 2015 - allowing first time home buyer/owner occupant opportunity to purchase without competition from investors. Existing home was torn down week of 7/27/2015 - cleared lot. Water and sewer hookups/meters are still in place from original home. What a find with over 2000 square feet of living space at this incredible price! Close to Rt 1 and beaches, local high school and shopping. This beautifully unique colonial features a true artist's touch with an a full color palette that will take you to a private paradise while inside! This home features an open floor plan with kitchen to great room spaces, where you can read a book or enjoy the chatter of guests by the wood burning fireplace. Sleeping quarters adorn the 2nd floor, featuring three spacious bedrooms with additional attic storage to boot. Full basement with tons of space ready for your imagination or creativity. A separate unfinished loft has easily accessible storage and can be finished for a fourth bedroom, tween suite or in-law suite - the possibilities are endless. Enjoy your coffee or tea on the back deck while watching the wildlife run about. The oversized yard affords space for all sorts of activities from BBQ's to badminton, make your appointment today! :Move right into this large townhome located in west Dover near everything. This clean and well maintained home features a deck with a view. The main level features a large living area with an eat-in kitchen and fresh paint. Step out onto to your large deck that offers a view overlooking a the large community pond and your own fenced yard. The downstairs leads you to the lower level to find an entirely additional HUGE living space and a slider out to the fenced yard. 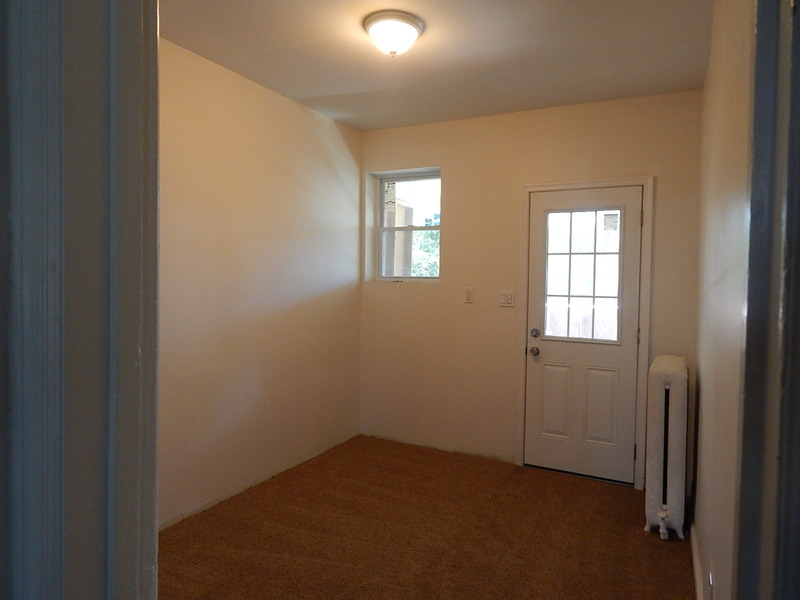 The lower level also has a large laundry room and inside access to your 1-car garage. Upstairs you will find a spacious master suite with cathedral ceilings, and a walk-in closet. The third floor has two additional bedrooms with pond views and a large hall bath. Other conveniences outside include off street parking, fenced in yard, and a community walking trail. While this home is a short sale, no fee is being charged to the Buyer. This is not your typical short sale and you will not be disappointed. Welcome home to this stunning Colonial in the community of Hazel Farms. Why buy new when you can get this home now with many extras! This 4 bedroom 2.5 bath home features an abundance of upgrades. Be awed as you enter the open 2 story foyer and hardwood flooring throughout the first floor. The open foyer is flanked on both sides by spacious living and dining area ideal for gatherings. The open gourmet kitchen includes hardwood flooring, a centrally located island and a spacious pantry. A sun filled breakfast nook leads to an expanded family room featuring a gas fireplace. A stroll down the oak staircase will reveal a very large spacious finished basement ideal for watching the game, your favorite movie or entertaining. The homes second floor features 4 large bedrooms and 2 full baths. The owner's suite will wow you with the impressive size and luxury bath including both a large tub and shower with upgraded tile, and his and her's separate walk-in closets. In addition this home features a large outdoor patio and upgraded landscaping and so much more. Hazel Farms is one of Dover's premier and most desired communities featuring a club house, swimming pool, tennis courts, tree lined streets and pocket parks for everyone to enjoy. Lovingly maintained by the current owners this home is move in ready and sure to impress. SELLERS OFFERING $5000 CLOSING ASSISTANCE! House For Sale! Camden, DE - 3 Bedroom!